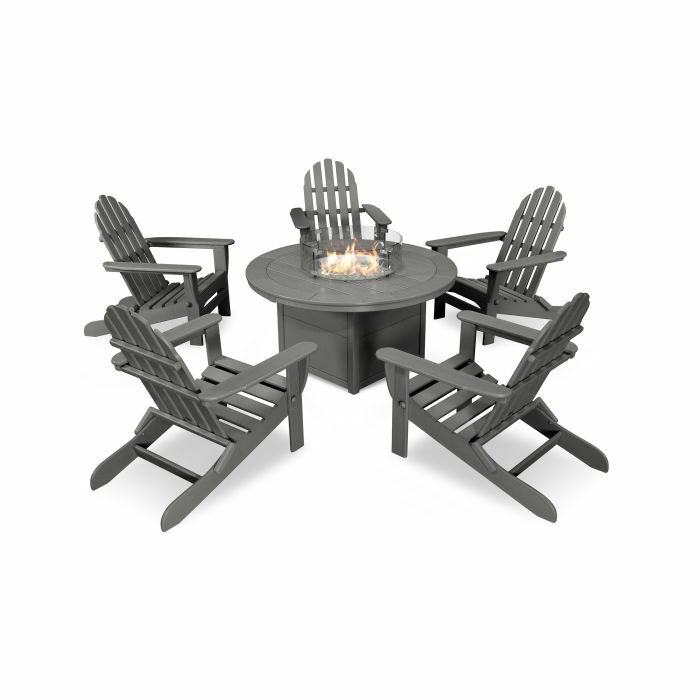 Kick back and catch up with family and friends under the stars in the casual comfort of our Classic Folding Adirondack 5-Piece Conversation Set with Fire Pit Table. Let the conversation flow while enjoying the contoured comfort of our Classic Adirondack chairs. Warm up and roast s’mores fireside — our brand-new Round Fire Table will brighten your otherwise chilly evenings!